The Polish Hill vineyard is a ‘hard rock’ site with shallow shale and a crust of clay marl over slate. These thin soils hamper the roots’ downward development therefore the vines struggle. The distinctively flavoured fruit typically has small berry and bunch size. Organically managed without tillage, natural composting and hand-tending have been practiced since 1996. 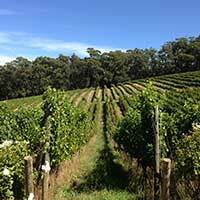 The hilltop-sited ‘Springvale’ is the highest (465 metres) and coolest vineyard in the Watervale subregion. Planted on red loam over limestone, this is a ‘soft rock’ site. This highly sustaining combination of soil and rock insulates the drought sensitive riesling vines. 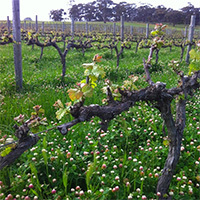 ‘Springvale’ is named after the original property where riesling vines were first planted in the 1860’s. 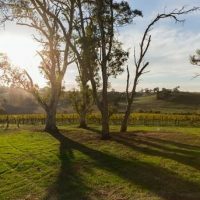 Planted in 1986 with cabernet sauvignon and cabernet franc, the Gaia Vineyard is named after James Lovelock’s Gaia Theory (that the Earth is a single organism, reliant on the complexity and diversity of its species to maintain ecological health). For three decades, this isolated and windswept vineyard has demonstrated the benefits of organic viticulture. 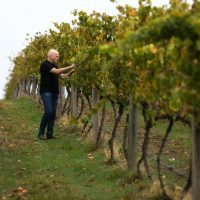 Of the two vineyards in the higher altitude north-eastern corner of the Watervale subregion, ‘Rockwood’, with its hard yellow rock and variable soils, is viticulturally the more challenging. 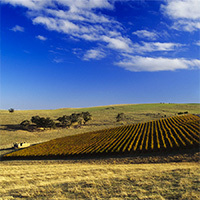 Grosset Wines’ chardonnay and pinot noir grapes are grown in two privately owned vineyards in the Adelaide Hills. Both are in the Piccadilly Valley, the second coldest place in South Australia. 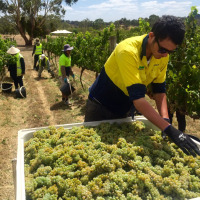 In terms of wine quality, the rewards of working with such challenging sites have proved to be substantial.